Location: In the south-east corner of The Cathedral Green and part of the important group of buildings surrounding it. 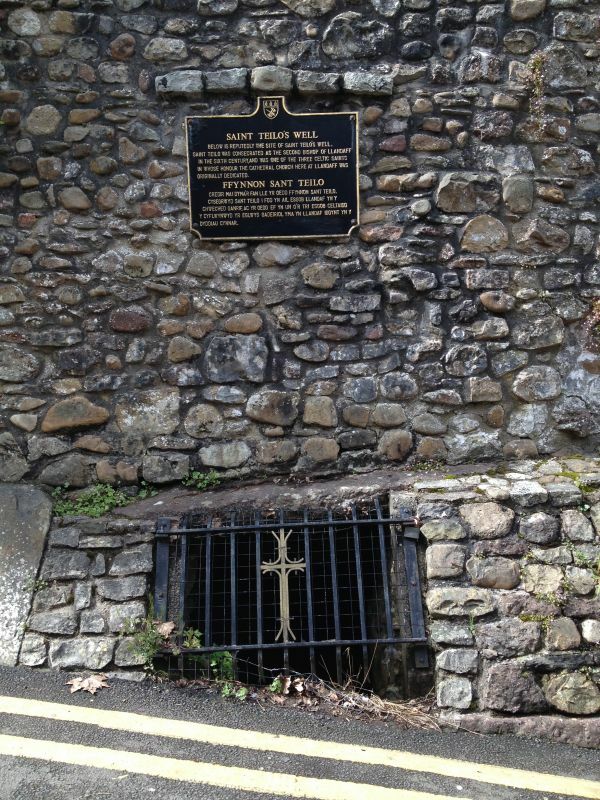 The attached plaque states in English and Welsh: ''Saint Teilo's Well'' and ''Ffynnon Sant Teilo''. "Below is reputedly the site of St. Teilo's Well. Saint Teilo was consecrated as the second bishop of Llandaff in the sixth century and was one of the three celtic saints in whose honour the cathedral church here at Llandaff was originally dedicated''. Ancient well sited on a spring line at the edge of the ridge of land above the Cathedral. It is now covered by a slab of stone and set into a possibly C18 rubble wall below White House Cottage, framed in a C20 rubble opening with an iron grille. Included for its historic interest as a Holy Well and as Llandaff's early water supply. Part of the group of important buildings at the south-west entrance to The Cathedral Green. Running along the street frontage of Nos. 1 & 2 The White House.